The OME Client "Shoola Java Client"
The OME Client is a Java-based tool for data visualization and management. 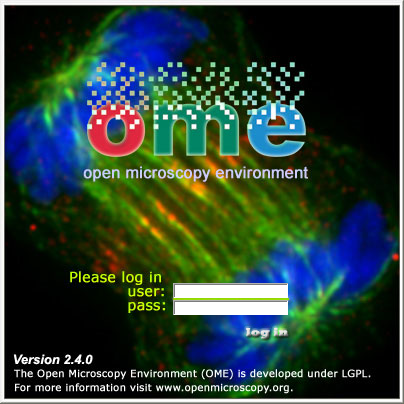 It is comprised of several semi-autonomous "agents" that provide different functionality and views into OME's rich data model. As you might expect, the OME Java Client is cross-platform and to run requires that Java 1.5 be installed on your computer. Similarly to the Web browser client, the OME Java Client gets all of its information from a remote server-- the location of the server is specified in a configration file. Since this connection utilizes a standard network connection, the client can be run anytime the user is connected to the internet. 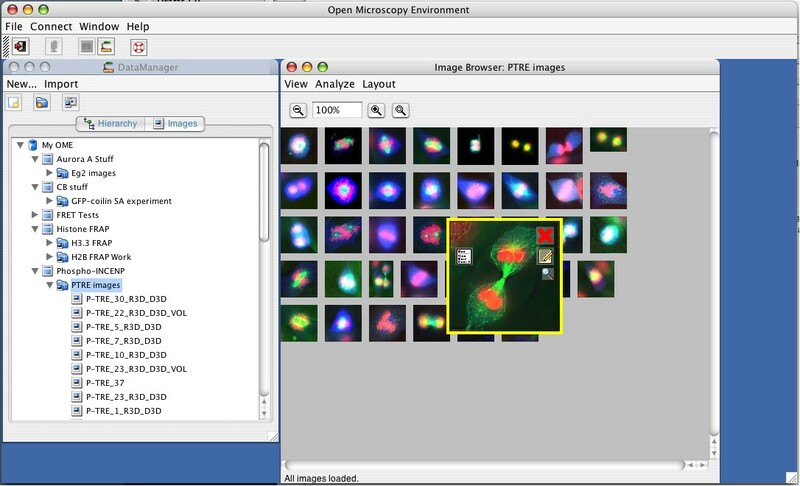 Collections of Images (Datasets) can be viewed as groups. This viewer provides a convenient way to rapidly scan through annotations, and examine images individually with varying degrees of detail.